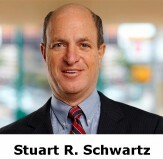 EL PASO, TX – Stuart R. Schwartz a creditor’s rights attorney and shareholder at ScottHulse PC, a commercial law firm with offices in Texas and New Mexico, was recently appointed editor-in-chief of “Texas Collections Manual,” which is published by the State Bar of Texas. 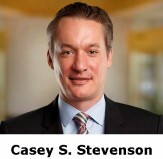 Additionally, Casey Stevenson, an attorney and shareholder at ScottHulse, was appointed to the editorial board of the publication. Schwartz, who has served on the editorial board of the Texas Collections Manual for over 20 years, is one of only four Texas attorneys Board Certified in Creditors’ Rights by the American Board of Certification. He is also a member of ScottHulse’s litigation practice group and an experienced international litigation attorney. Stevenson’s practice encompasses creditor’s rights, commercial litigation, and healthcare.